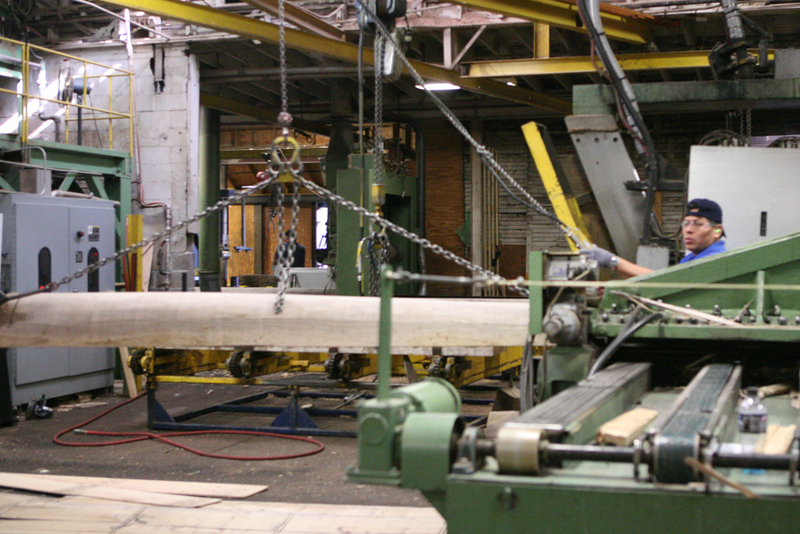 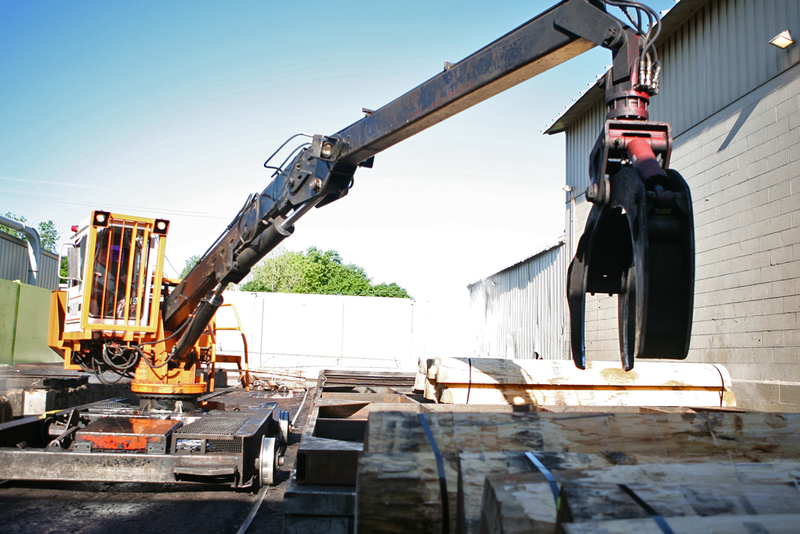 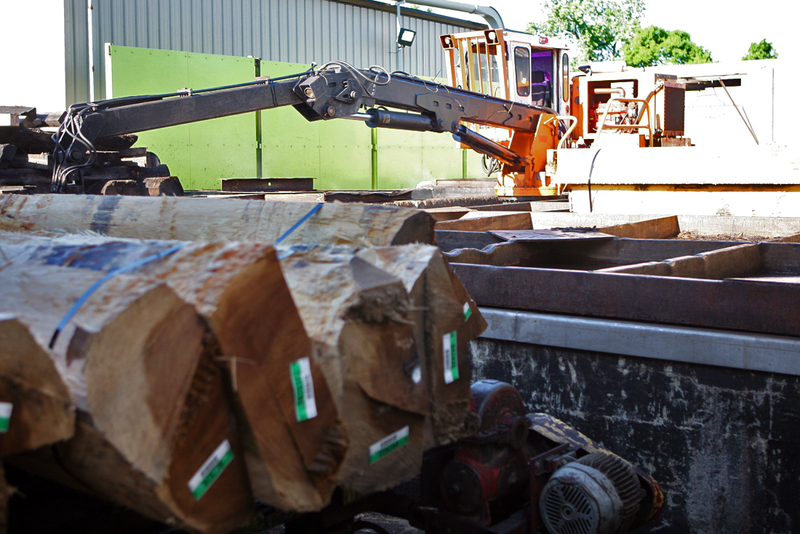 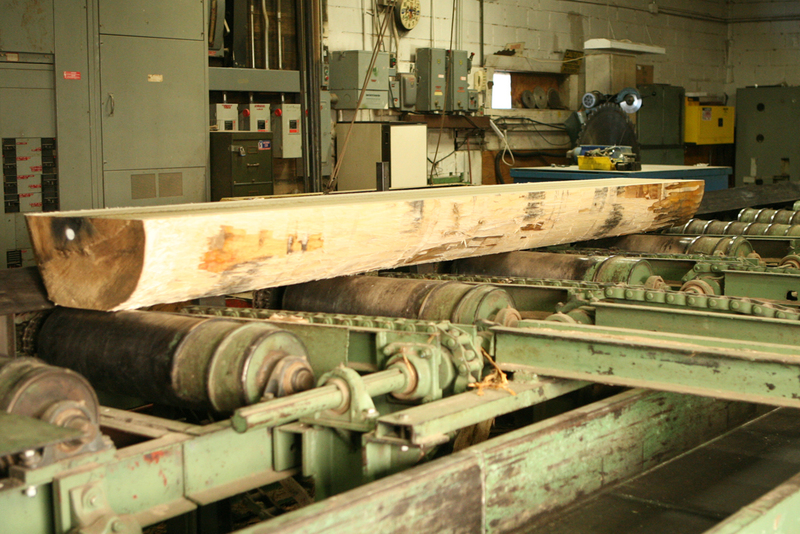 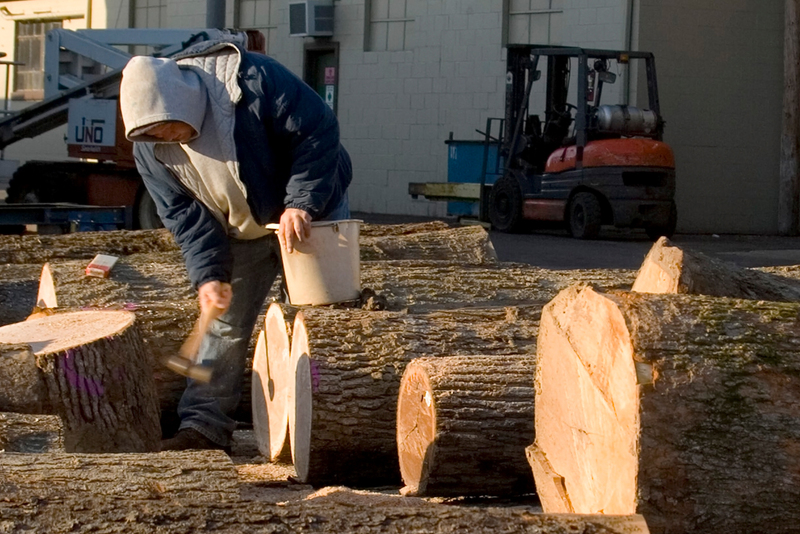 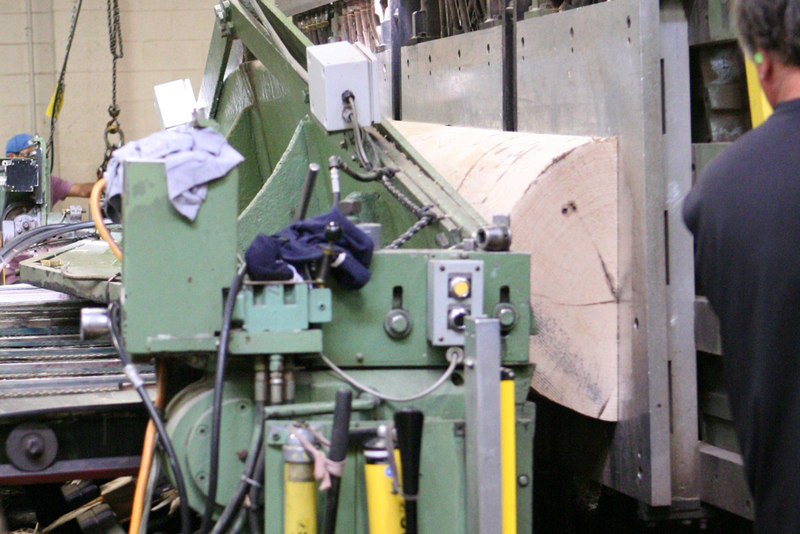 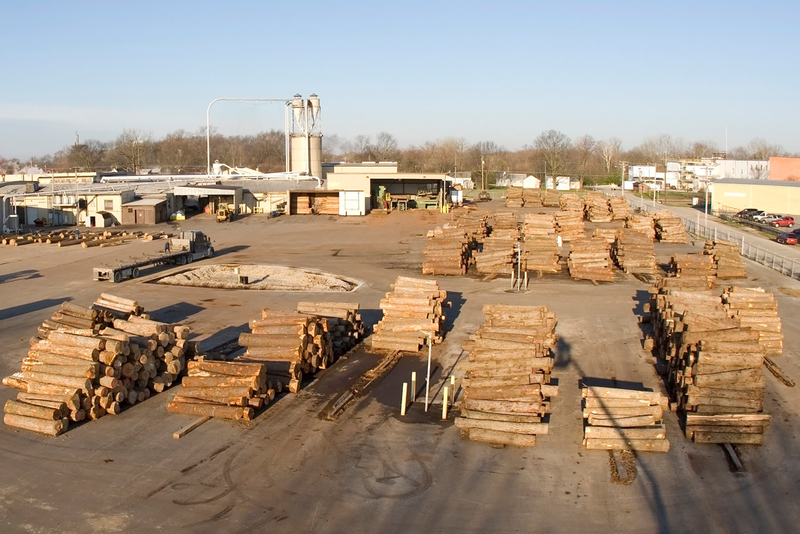 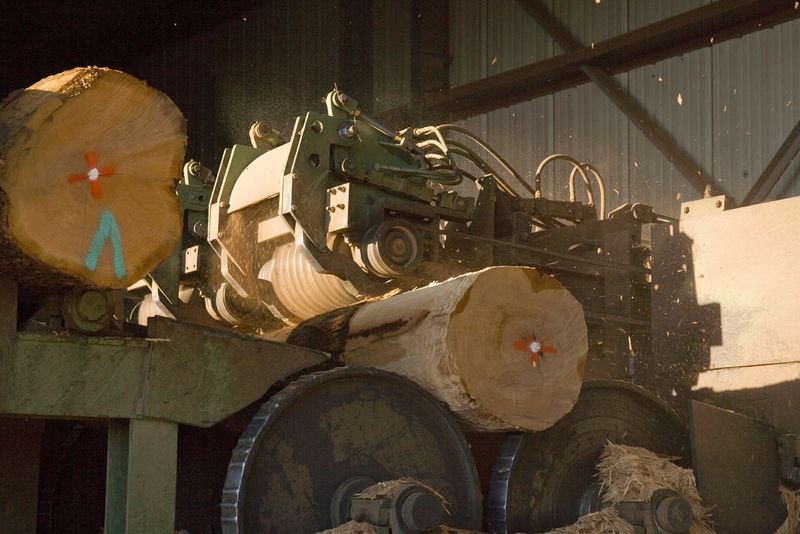 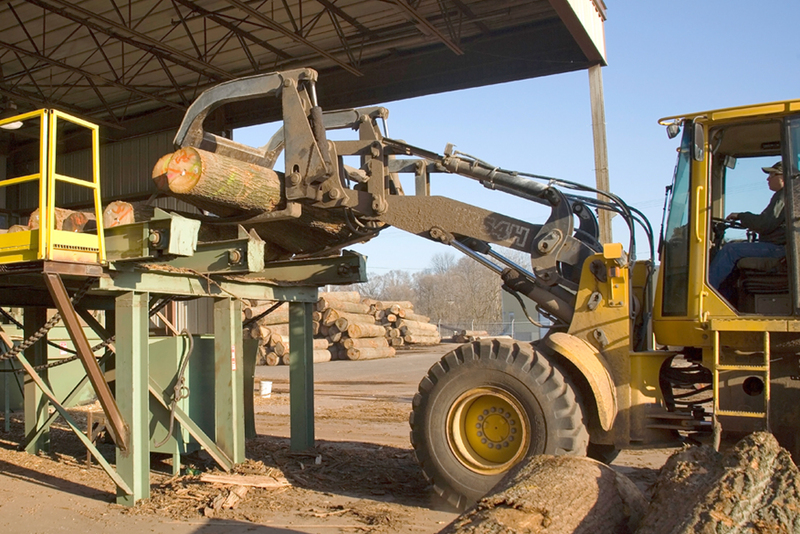 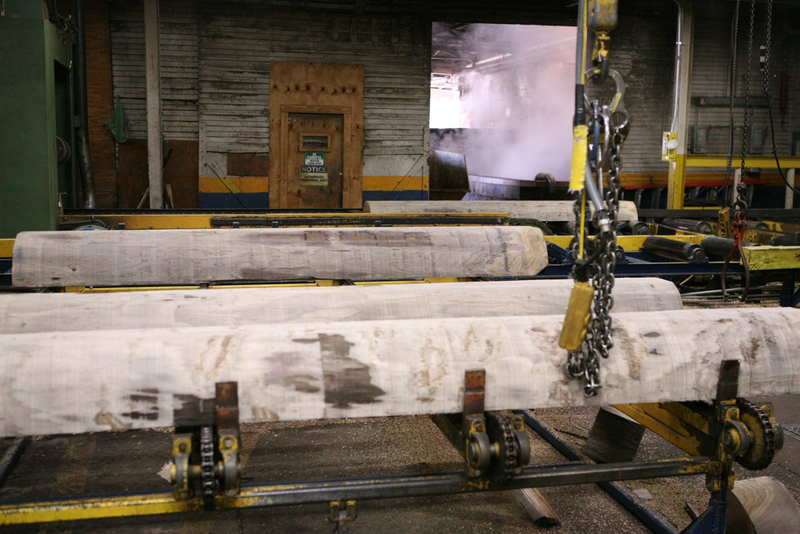 Log Yard: Our production process begins when logs are brought onto the log yard from suppliers. 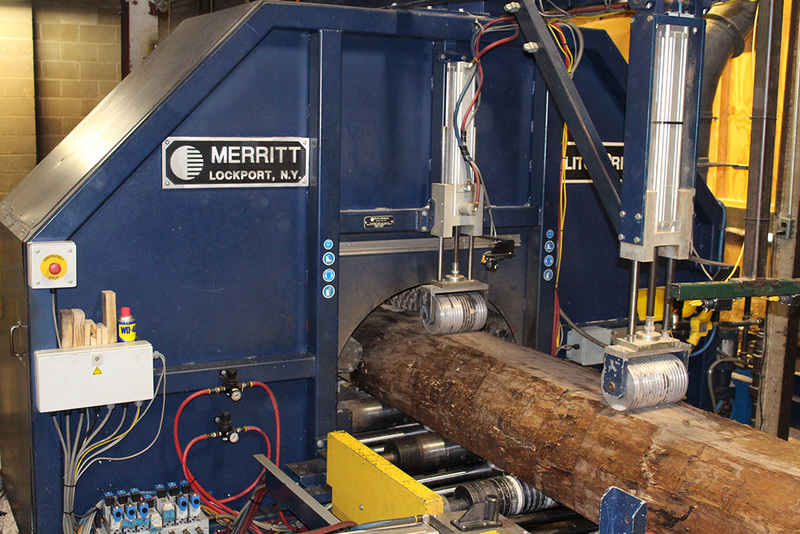 Logs are then checked in and sorted by species and size. 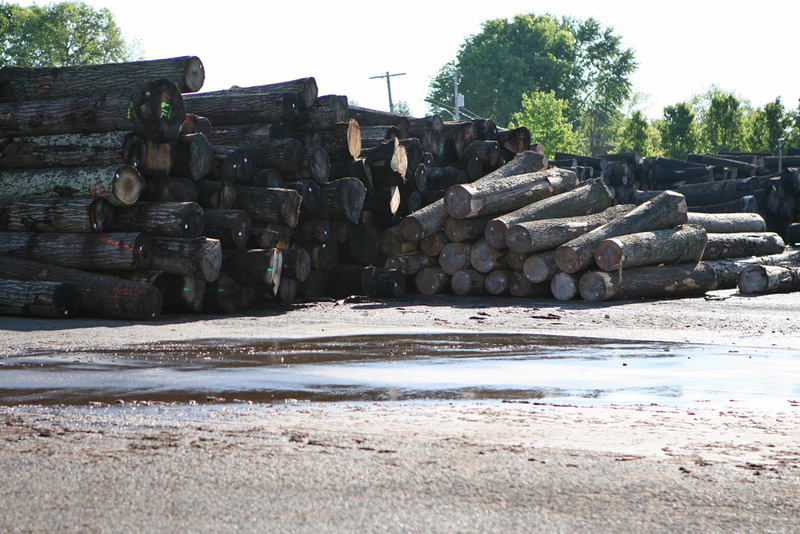 While the logs are on the log yard, they are kept wet by a sprinkler system in order to ensure proper moisture content. 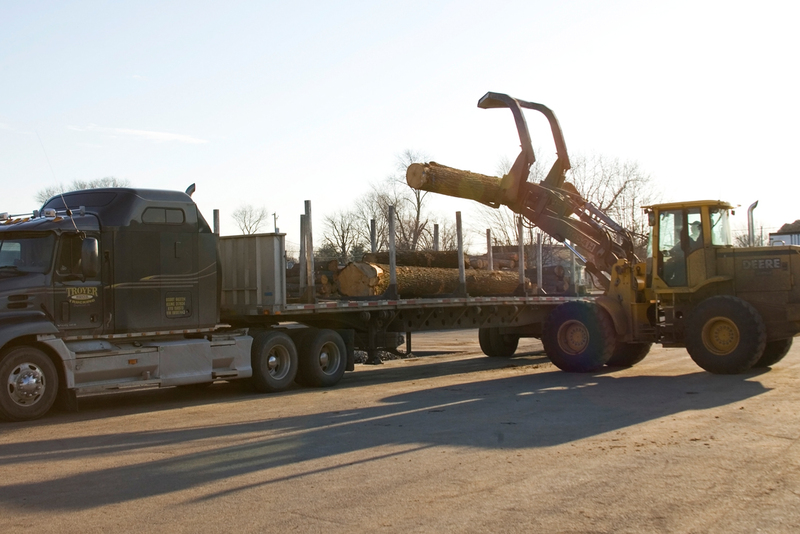 Logs are then debarked in preparation for the sawmill. 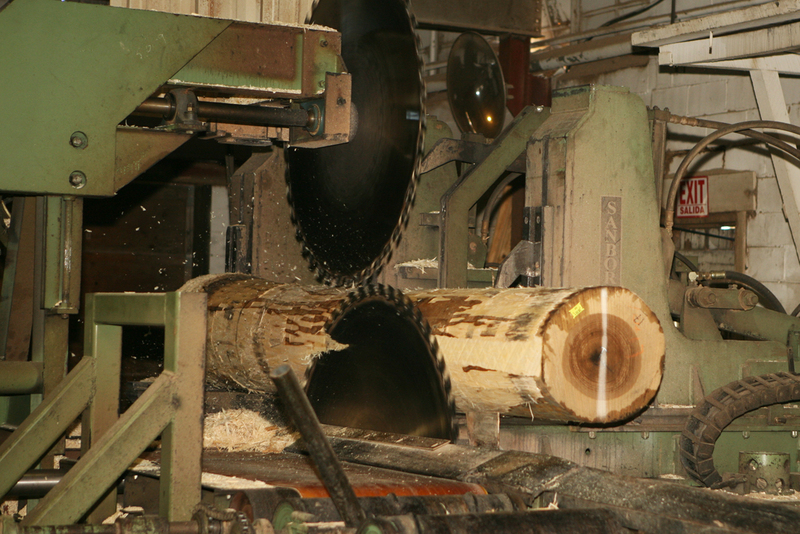 Sawmill: In the sawmill, logs are opened up into flitches or parts. 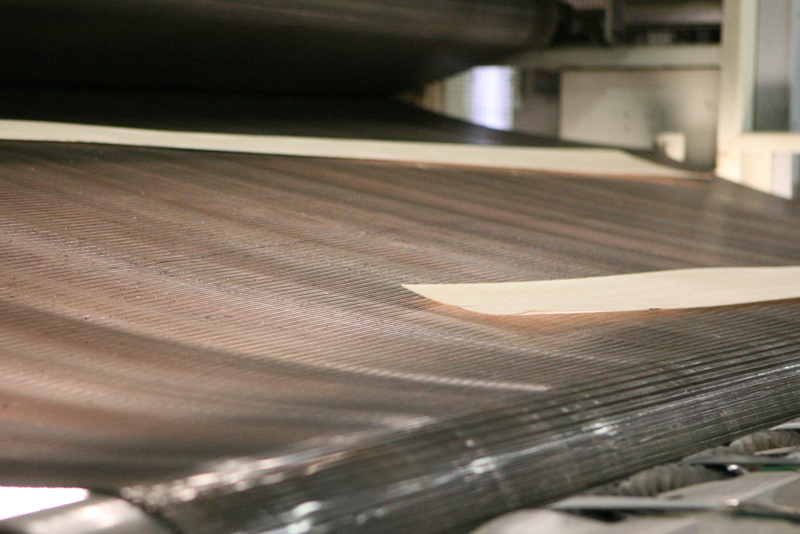 The flitches are tagged and banded, then cooked in vats in order to soften the fibers. 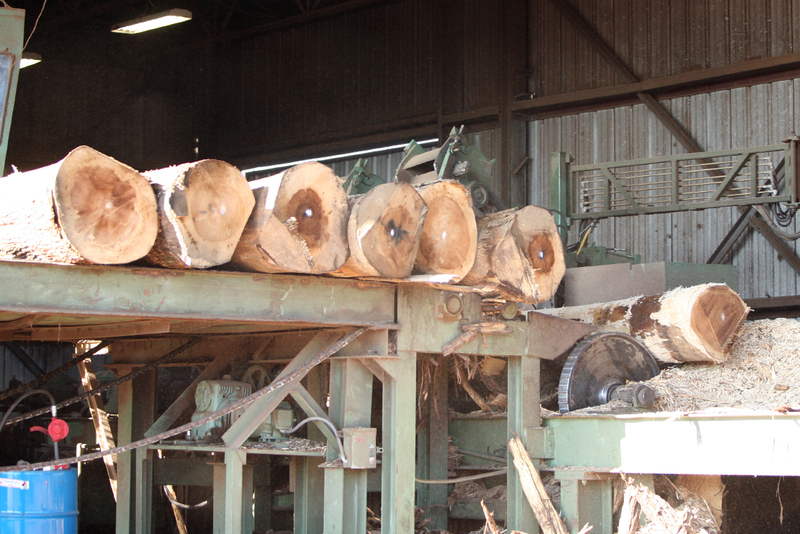 Slicing: Flitches are brought from the cooking vats and cleaned. 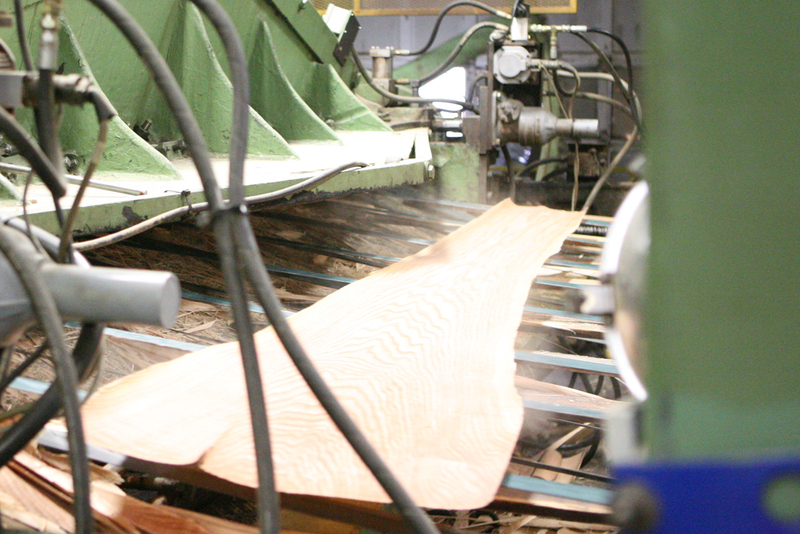 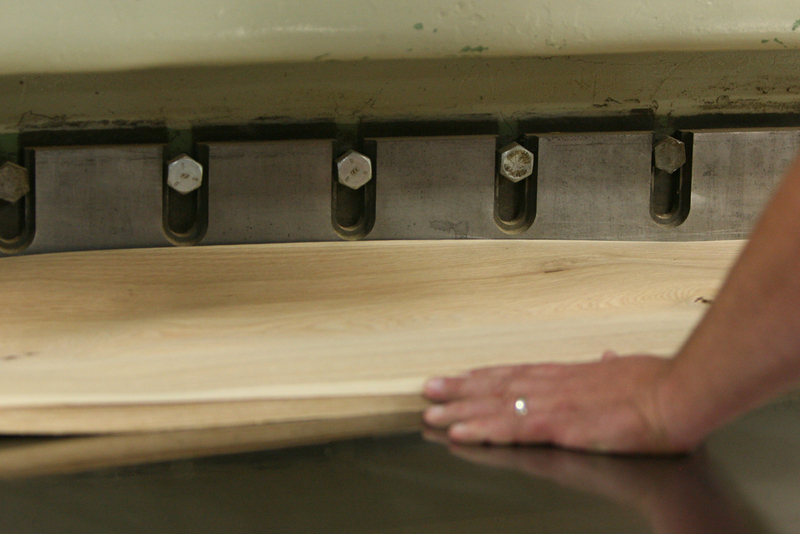 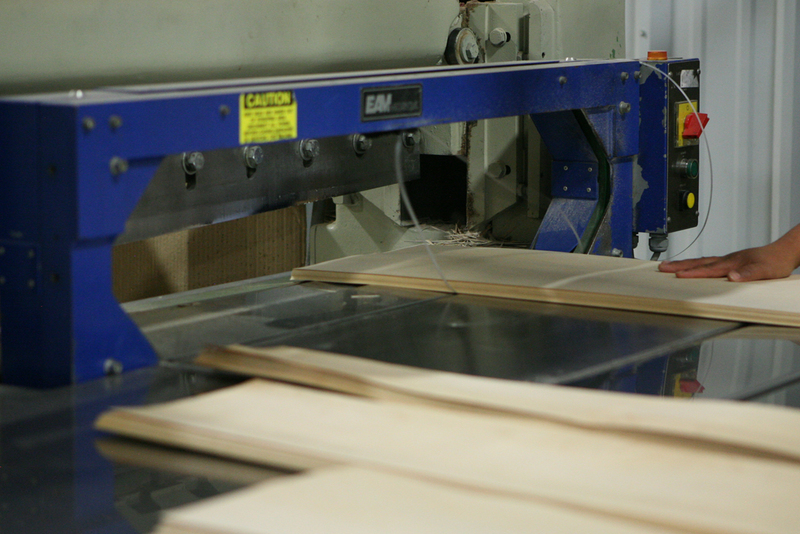 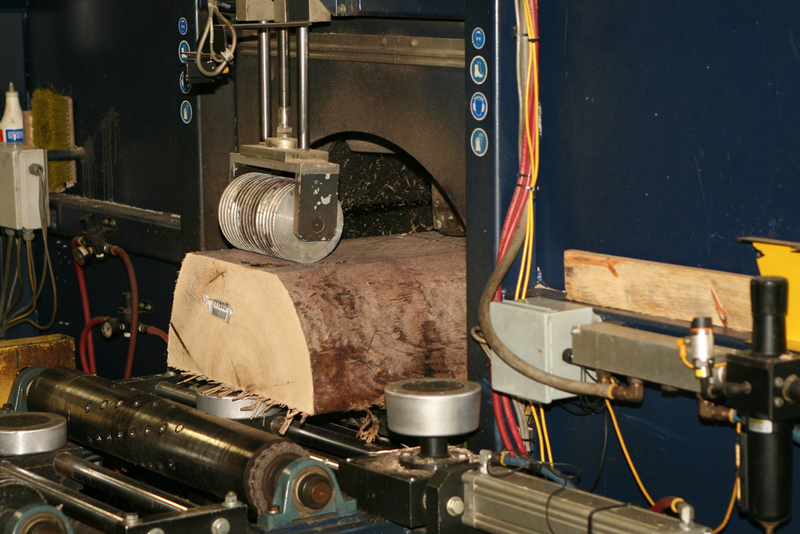 The flitch is put onto a slicer where it is sliced into sheets of veneer. 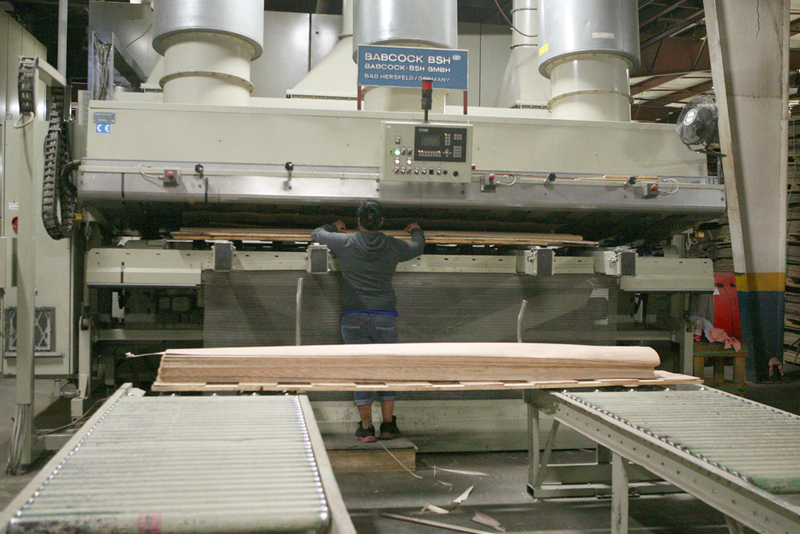 The thickness of the veneer is based on a variety of customer needs. 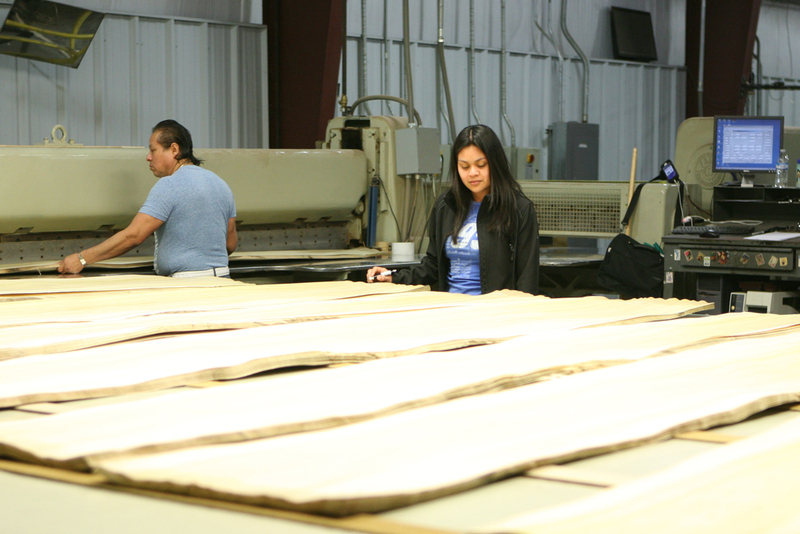 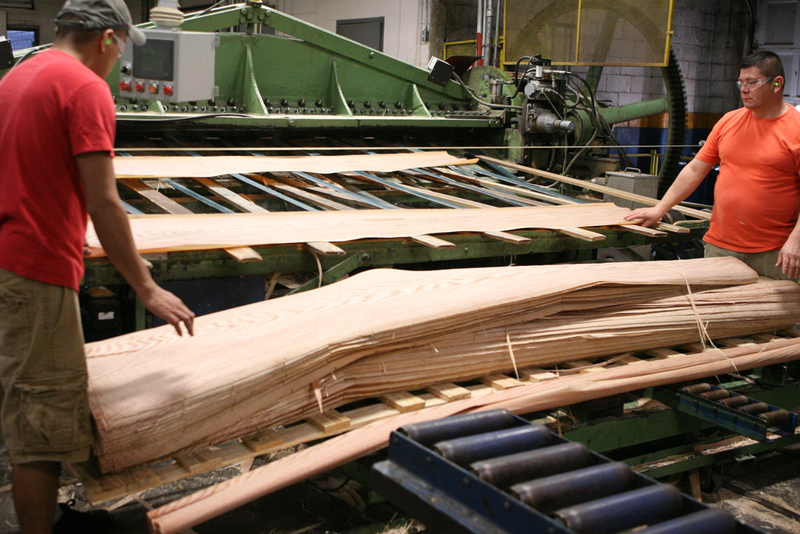 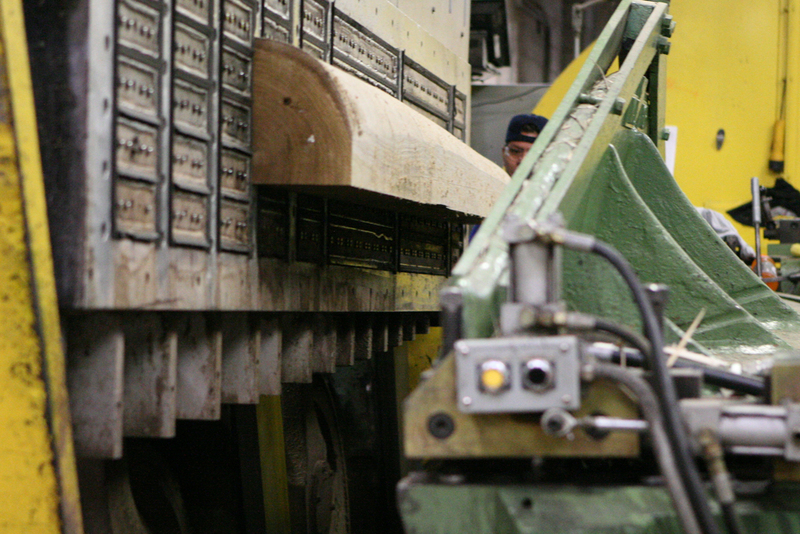 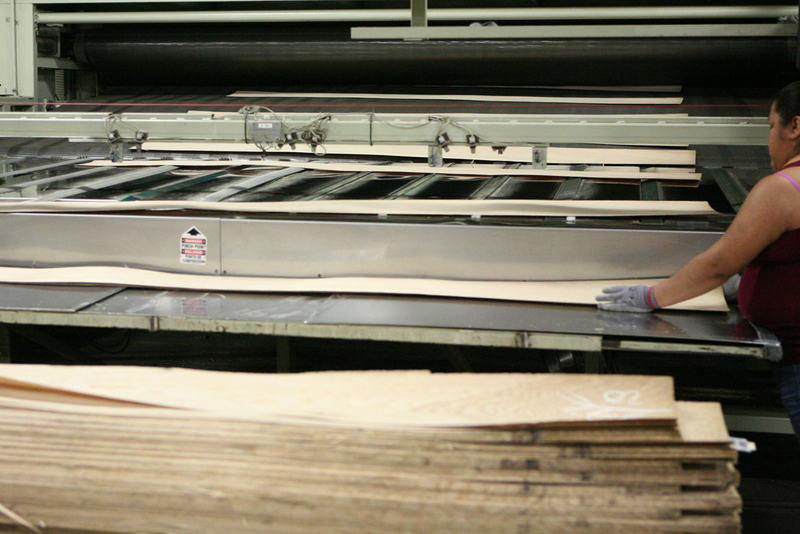 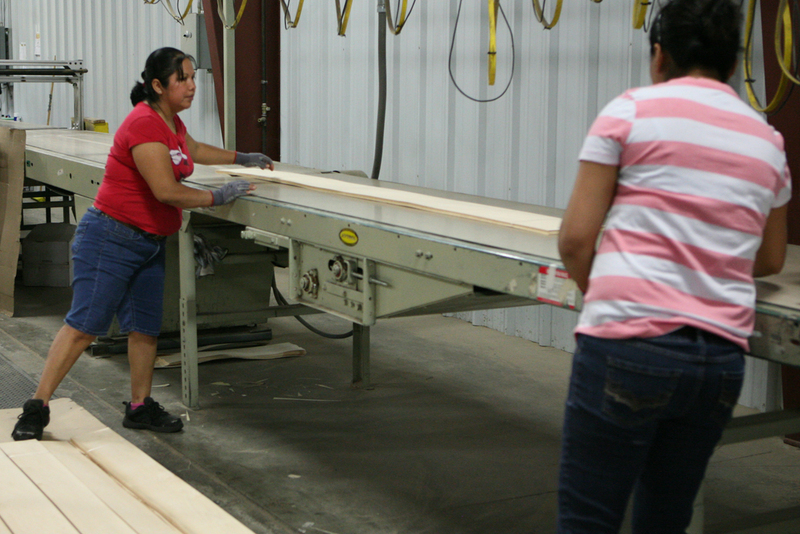 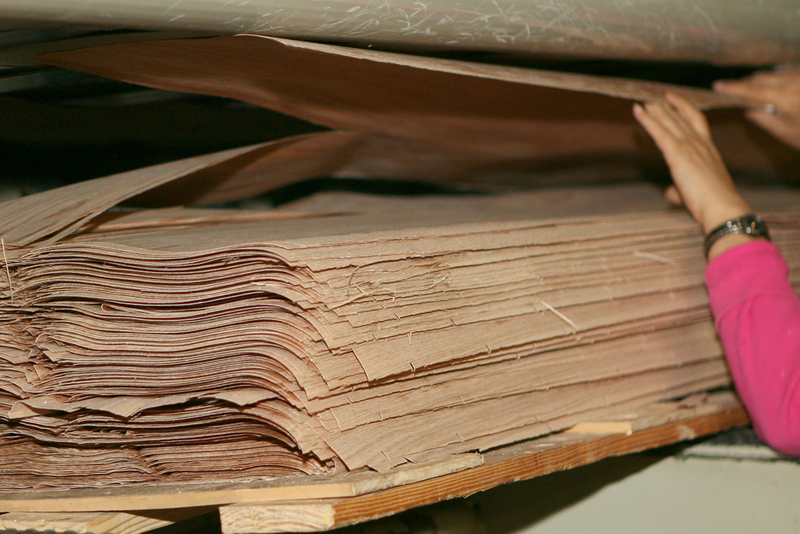 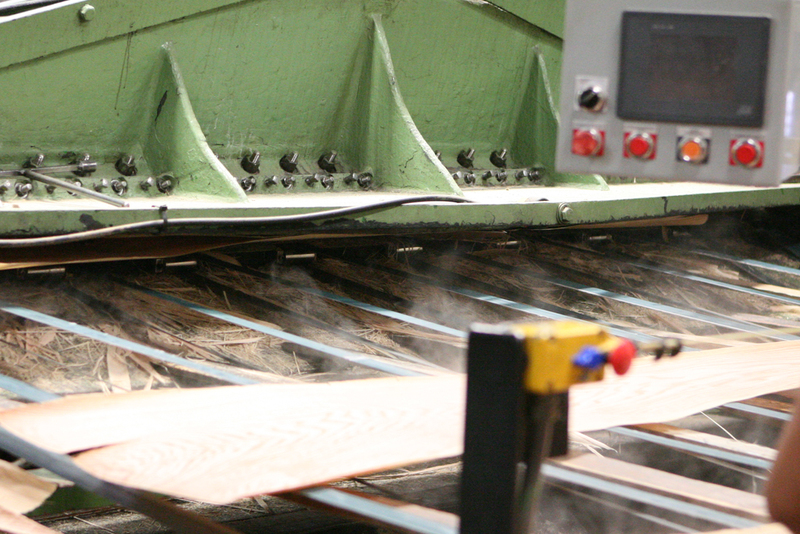 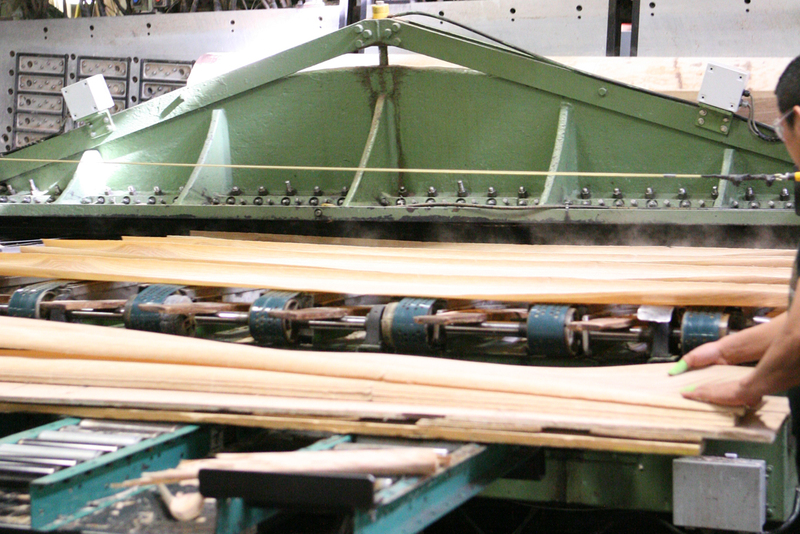 After the veneer is sliced, the sheets are stacked, and brought over to the drying department. 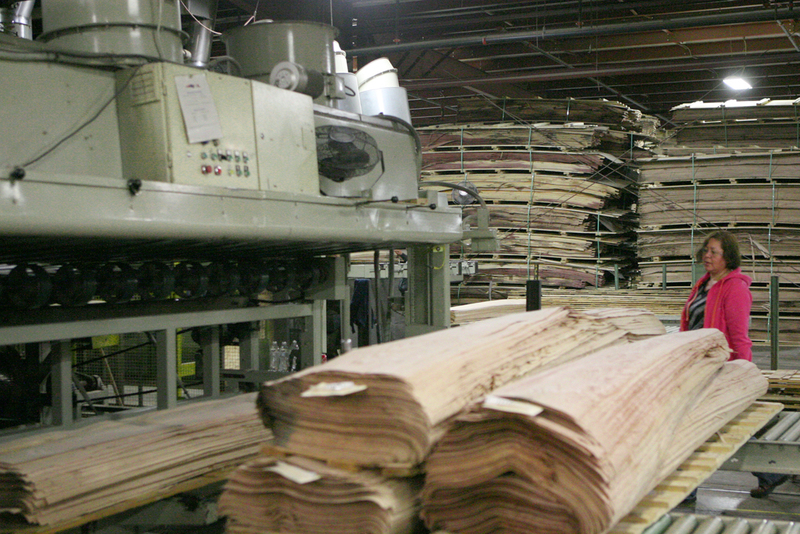 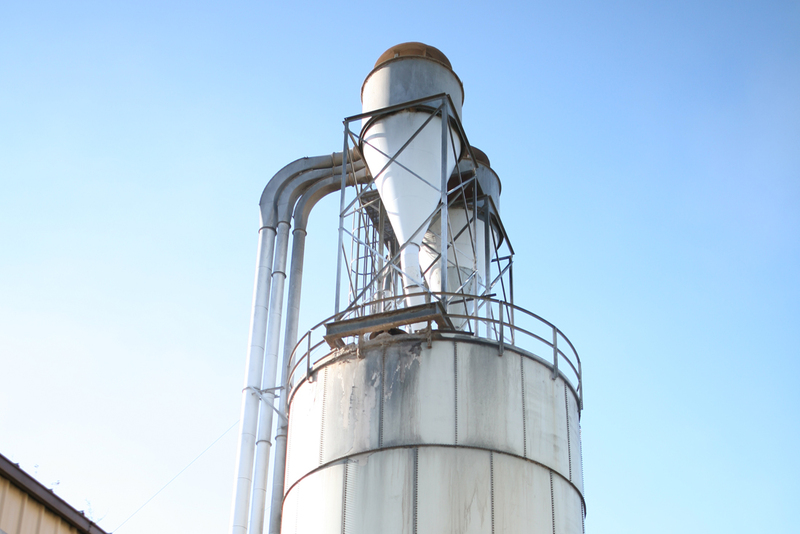 Drying: Sheets of veneer are loaded into the dryer that utilizes vacuum feeders. 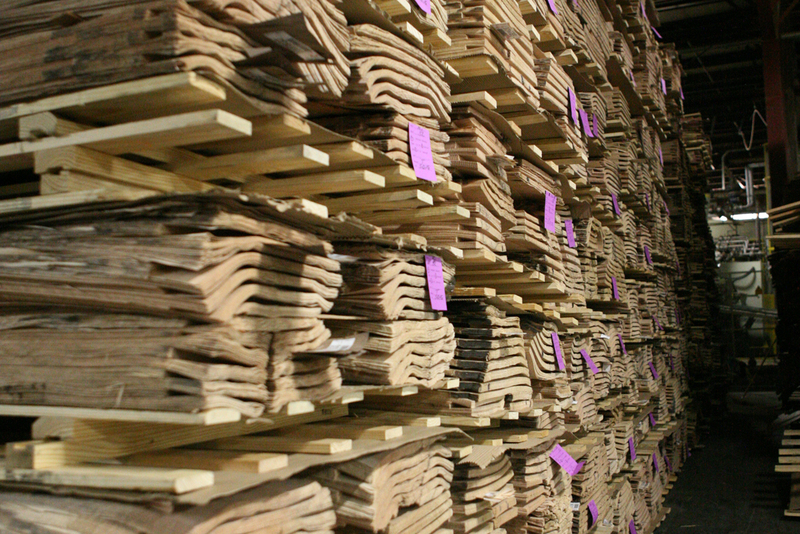 After they are dried, the sheets are then stacked in bundles. 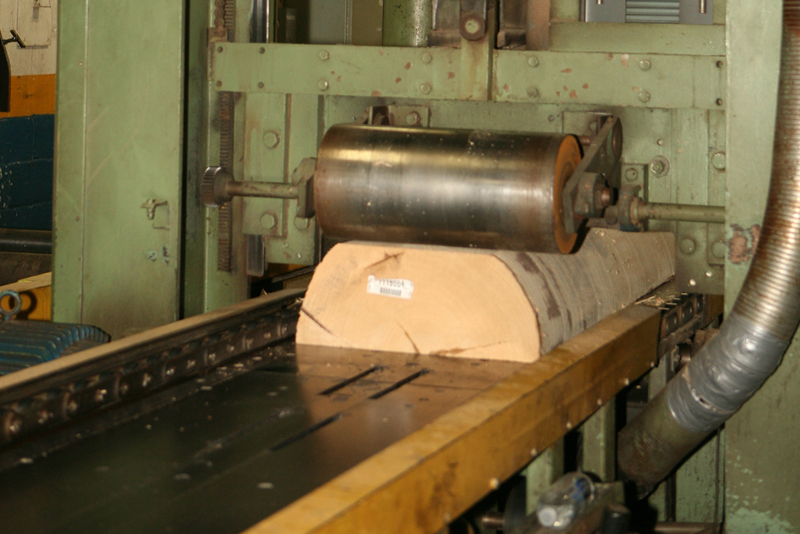 Clipping: In the clipping line, defects in the veneer are removed. 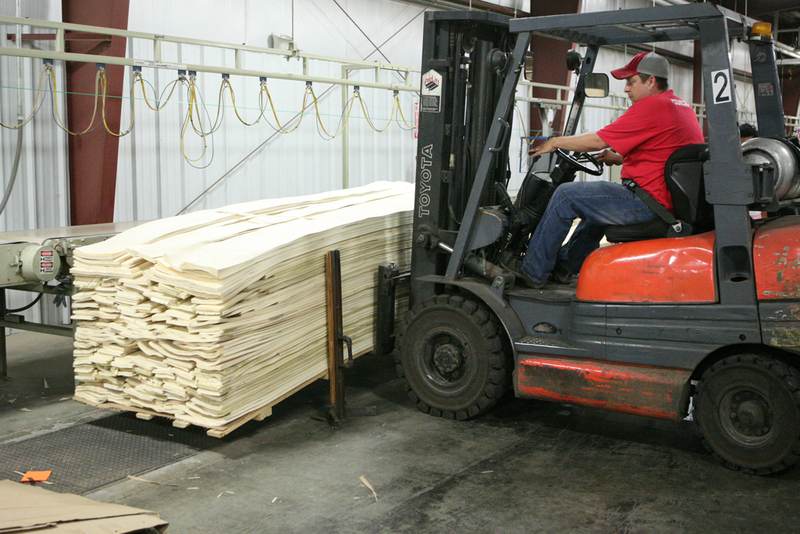 Bundles are then banded together and placed on pallets. 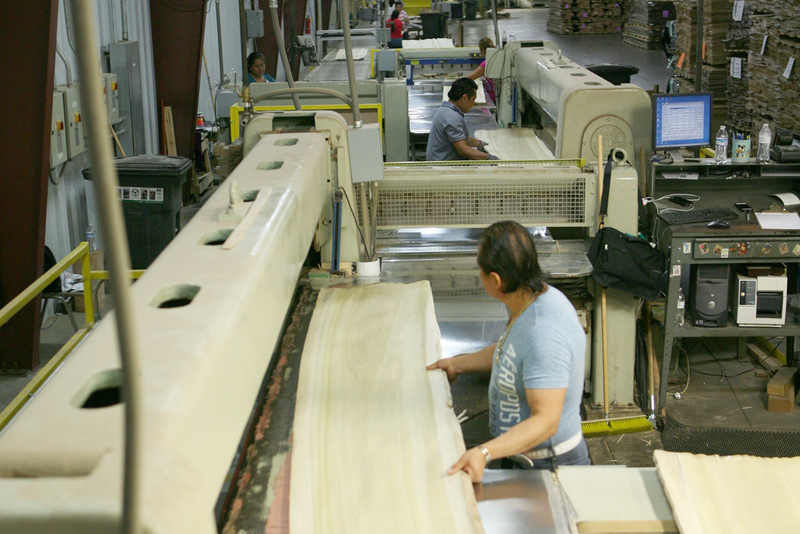 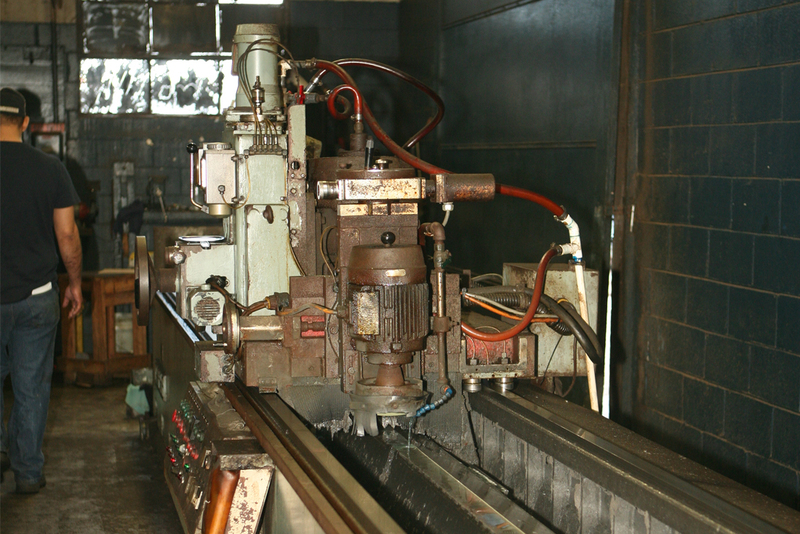 High quality processing is the basis of our business! 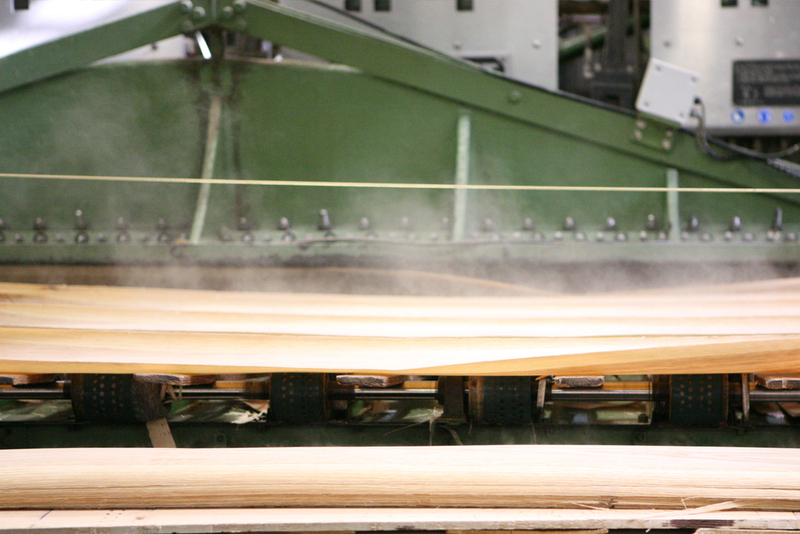 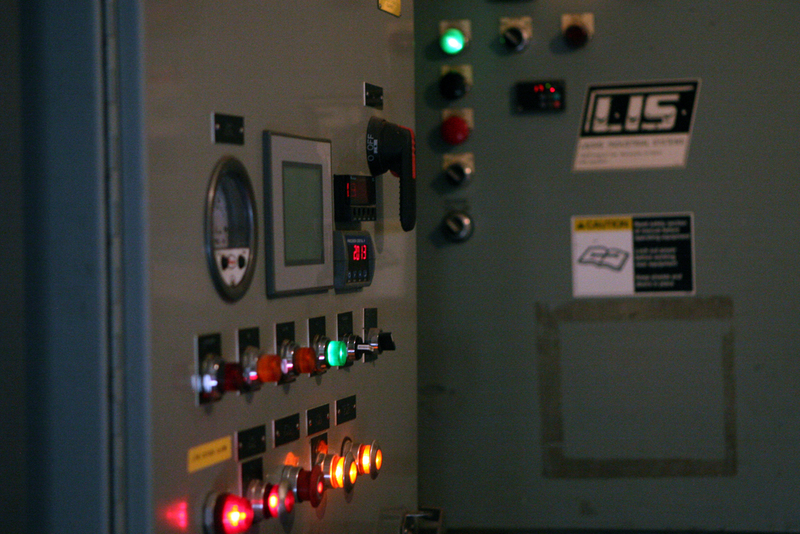 Our strength lies in our production operation. 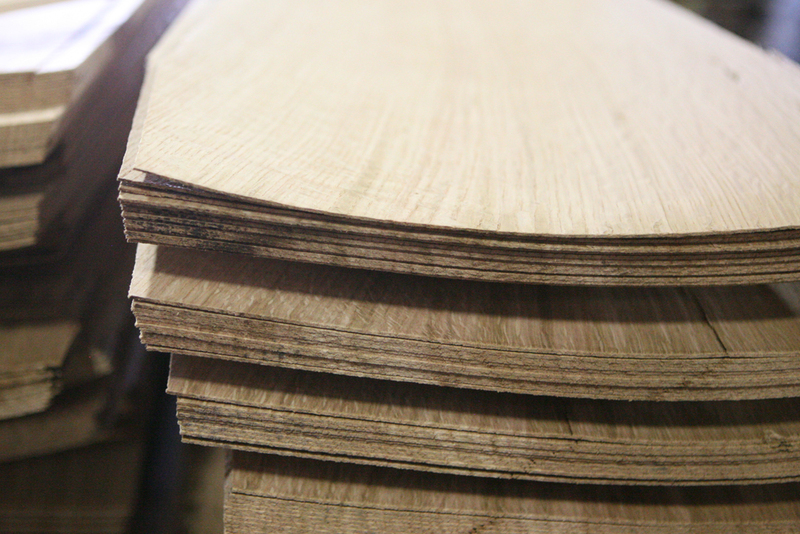 The high quality raw material must be treated appropriately during processing, whether in slicing of special thicknesses or in clipping the veneers to your individual requirements. 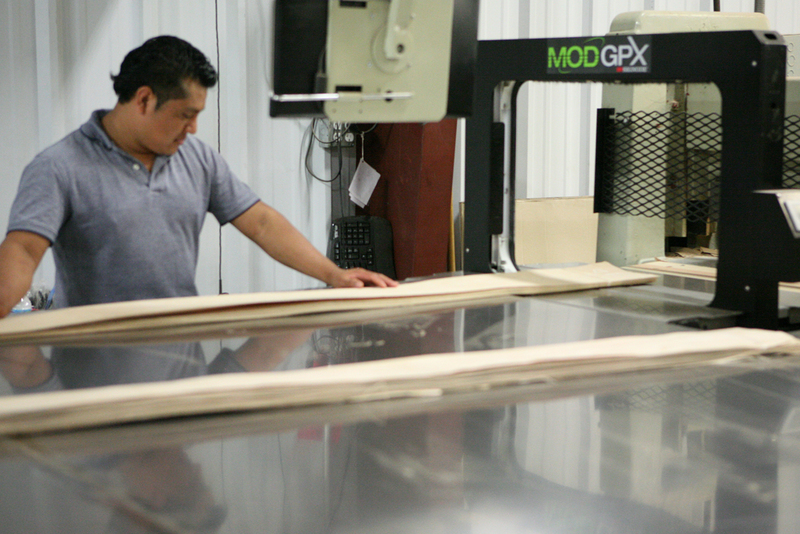 We match high production quality standards with speciality services to satisfy your individual needs.